Looking for a way to help horses "hands-on?" More than just "petting horses," we'll offer an opportunity to play a role in maintaining a high standard of daily care at the sanctuary. Several people who couldn't make it to the orientation on Sept 18 are nonetheless interested in getting started as soon as they can. So, WE'VE ADDED ANOTHER ORIENTATION this Monday, September 27, 2010, at 10AM. Traveller’s Rest Equine Elders Sanctuary specializes in the care of geriatric horses that have been abandoned or neglected or whose owners literally can no longer offer even basic care. TREES is not a retirement board facility. Traveller’s Rest Equine Elders Sanctuary is in Spotsylvania. Traveller’s Rest Equine Elders Sanctuary does not buy horses. Traveller’s Rest Equine Elders Sanctuary does not “import” truckloads of horses from other parts of the county. Traveller’s Rest Equine Elders Sanctuary only accepts as many horses as it can properly care for at the time. Traveller’s Rest Equine Elders Sanctuary customizes a diet and care program for each horse based on its individual needs. Traveller’s Rest Equine Elders Sanctuary feeds a high-quality, balanced feed appropriate for our residents’ needs and stage of life. Traveller’s Rest Equine Elders Sanctuary feeds each horse separately. Traveller’s Rest Equine Elders Sanctuary’s horses all have access to hay or pasture 24 hours a day, 7 days a week, 365 days a year. Except during meals, or in cases of a veterinarian's instruction, Traveller’s Rest Equine Elders Sanctuary’s horses are turned out 24/7, not kept in small pens. Traveller’s Rest Equine Elders Sanctuary provides adequate shelter to every horse. Traveller’s Rest Equine Elders Sanctuary documents date of arrival of every horse and condition upon arrival. Traveller’s Rest Equine Elders Sanctuary checks on every horse a minimum of three times a day at breakfast, supper and bedtime, many times more often during the course of daily chores. Traveller’s Rest Equine Elders Sanctuary keeps its residents on a 6-week farrier schedule, though some are trimmed more often if needed. Traveller’s Rest Equine Elders Sanctuary consults with veterinarians regularly, often weekly, about everything from acute or chronic illnesses to allergies and alternatives to current management techniques. Traveller’s Rest Equine Elders Sanctuary also consults with complementary practitioners on a frequent basis to augment but not replace “traditional” veterinary care. Traveller’s Rest Equine Elders Sanctuary has each horse examined by a dentist at least annually, more often if problems arise. Traveller’s Rest Equine Elders Sanctuary does not keep intact male horses on the property or allow residents to breed. Traveller’s Rest Equine Elders Sanctuary’s volunteers are asked to follow policies and procedures intended to keep them AND the horses safe. Traveller’s Rest Equine Elders Sanctuary does ask parents to remain at the farm with their children because we have neither trained daycare staff, nor a daycare insurance policy. 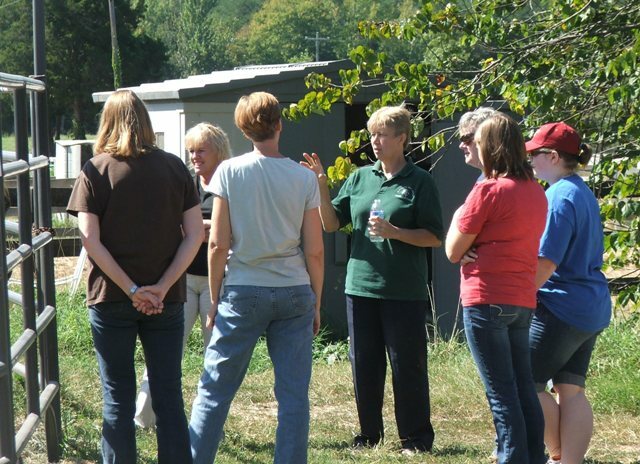 Traveller’s Rest Equine Elders Sanctuary continuously researches horse care options and tries to keep abreast of new developments in geriatric equine care. If we don’t know, we’ll tell you we don’t know then try our best to find an answer. For more information, please visit TREES Facebook page or TREES web site.